A lot has been said and written about this film, mostly about its troubled production – forget all that: it has no meaning whatsoever for the experience this film provides. A word of advice though: if you go in expecting a testosterone-fueled revenge thriller in the vein of Apocalypto, you’ll likely end up disappointed. It’s simply not that kind of film – but that doesn’t mean you won’t enjoy it if you watch it with the right expectations. ‘The Revenant’ opens with images from a dream; we see snippets of memories showing a peaceful life – and soon the loss of that peace, and the loss of life. The images change and we hear the soothing sound of gurgling water as we follow the camera via a long tracking shot over a flooded forest; it’s an image that seems to imply peace, evoking nature’s beauty with an almost meditative quality – before the barrel of a rifle appears in the frame. Those first three minutes I just described (which are the only spoilers you will get in this review. EDIT: for another review with a few spoilers, check here) set the tone for the film perfectly. It’s a film that tells a story of harrowing circumstances through images that are breathtakingly beautiful; a film about survival and death and shocking acts of sudden violence – and yet a film that, despite all its visceral intensity, also has a quiet, immersive quality to it that feels almost hypnotic. Many critics and reviewers have pointed out the stark contrast between the film’s poetic beauty and the ugliness of its violence – implying the director wanted to use this contrast to make a certain point regarding mankind’s interference with nature. While that would seem pretty obvious (and it probably is at least partly true), I left the film feeling Inarritu had shown a vaster, far too complete image of the clash between man and nature to justify such a simplistic interpretation of the events portrayed on screen. Whether intentionally or not, Inarritu shows the star of his film with a complexity and honesty that we normally don’t get to see in these kinds of stories. 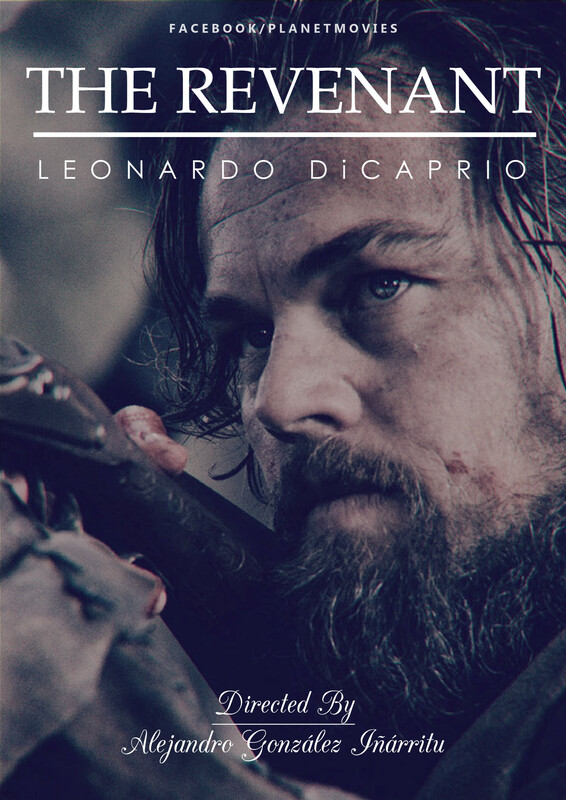 And I’m not talking about Leonardo DiCaprio here (who gives a no-holds-barred, crazy good performance and I’d love to see him win an Oscar for this film) – the star of this film is not a person: it IS nature, plain and simple. The revenge plot – which felt almost like an afterthought or a ploy to give the film a certain structure and a proper ending – is not really the film’s main theme or strongest aspect, and it certainly isn’t the reason that made this film so compelling to watch for me. 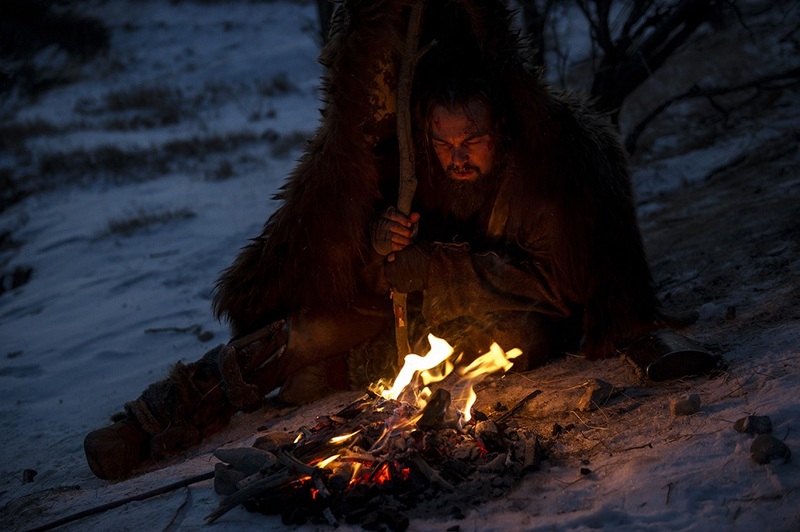 Such stories have been told often enough – and often better – than in ‘The Revenant’. No, what really made this film stand out for me is that I have NEVER seen a Hollywood film (any film, really – apart from documentaries) that showed nature in such an unflinchingly honest and mesmerizing way as was the case here. And the way I perceive it, Inarritu sees his human protagonists as being very much a part of nature as a whole – regardless of their destructive behavior. It’s that refreshingly wholistic approach (which some viewers might perceive as nihilism on the director’s part) that I found to be the film’s biggest accomplishment: it depicts the people in this story as just another species trying to survive in that perilous frontier-world. The emphasis is not really on the moral aspects of the brutal injustice that the main character suffers or how the Native Americans are cruelly exploited; we witness all that – but Iarritu keeps a certain emotional distance, as if he were shooting a documentary about predatory wildlife. And just like the bear’s attack, most of the violence in this film comes as a reaction of defense. Be it self-defense, defending one’s offspring or defending territory and valuable resources. Even the character that comes closest to an actual villain is driven by fear – not hate, and his most obvious character defects were caused by a very traumatizing experience. As in nature, there is a simple (if often brutal) logic to why most characters, men or beasts, act the way they do in ‘The Revenant’ (OK, maybe not the French – but I didn’t say the film was perfect, did I). And the bear attack was the most realistic depiction of an animal attack I have ever seen on film. All in all, this film felt less like a story of revenge and more like an ode to the visceral beauty of nature and the relentless, savage force that is life; it provides an immensely absorbing – and touching – experience to those who have an affinity for the wilderness, but it’s also a visual masterpiece and a great piece of old-school film-making for lovers of Cinema. It’s not perfect (especially during the last third of the film where I felt the pacing was a bit off), but it’s a film the likes of which we will only rarely get to see – if at all – in the future. 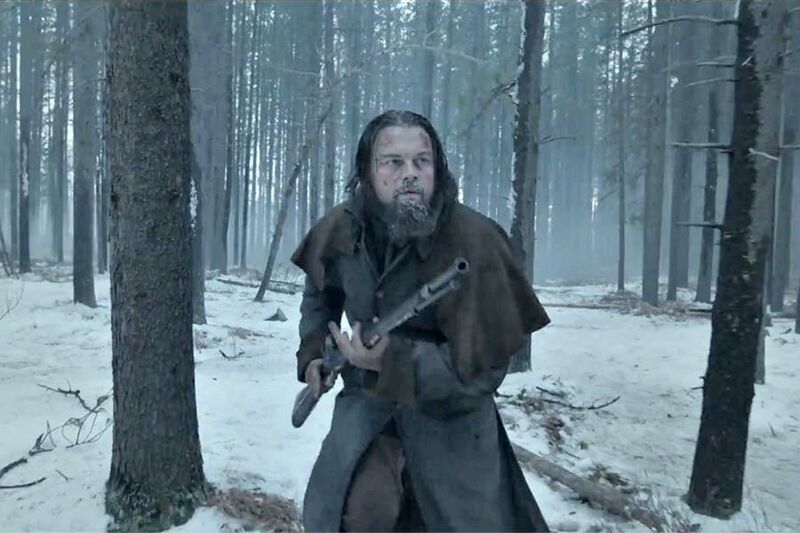 ‘The Revenant’ is visual poetry of the most primal kind, and it should be seen on the biggest screen possible. 9 stars out of 10 from me.